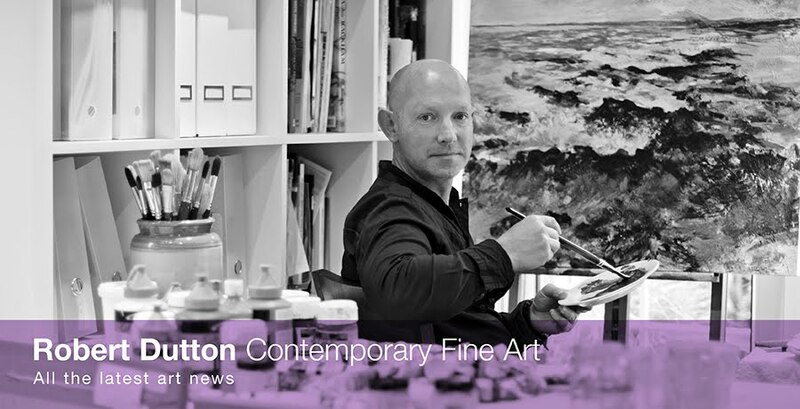 Robert Dutton Artist: Just another day in the office! Things are warming up for our joint 'All Creations Great and Small' exhibition at 'The Station Gallery' in Richmond North Yorkshire 31 October to 11 November and with only 12 weeks to go it really is 'full steam ahead'. This one is the view from 'Old Cote Moor' looking down onto one of my favourite Yorkshire Dales Villages - Kettlewell in Upper Wharfedale and will soon be finished and heading for the framer to be put to one side for our fantastic joint wildlife and landscape exhibition. 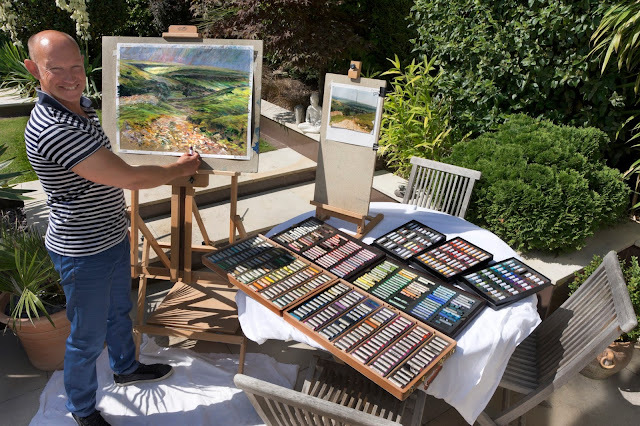 Magical light and magical to be outdoor painting in the garden and remembering the view in the Dales as I work on Canson Mi-Tientes 'Touch' pastel paper with mixed brand pastels - my all time favourite medium and for me, one of the best locations in England. To see the painting with 14 more of my other expressive interpretations of the Yorkshire Dales, fantastic wildlife sculpture from Stef Ottevanger, creative mixed media wildlife and landscapes from Helen Patterson and Jo Garlick do come along and see the show.